Whether a beginner or an experienced rider, the thrill of mounting up and heading off into the glorious Argyll countryside, on the shores Loch Fyne, will stay with you forever. The loch and forest trails that surround the riding centre give you an opportunity to explore one of the most beautiful parts of Scotland on horseback. 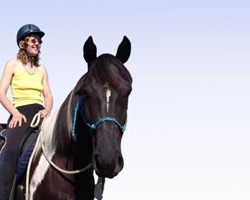 Argyll Adventure pride ourselves in our selection of well trained horses and ponies, experienced riding coaches and the highest safety standards.